Square Enix is so confident in the music of Final Fantasy XII: The Zodiac Age that it believes even the soundtrack is worthy of a trailer. The company uploaded it to YouTube recently with a new "Square Enix Music" label that I've never seen before. And yeah, the company isn't wrong one bit. Final Fantasy XII's soundtrack is a masterpiece. It doesn't have a single tune that I associate directly with it, like many other games in the series, but on the whole, as a general body of work, it's just consistently brilliant throughout. It's more like a Dragon Quest game in that regard. Nobuo Uematsu is rightfully the composer associated with the Final Fantasy franchise. After all, he acted as the head composer for the first eleven games and Final Fantasy XIV, and he has stepped in to compose tracks for just about every game in the series since. Final Fantasy XII's score was primarily helmed by Hitoshi Sakimoto, most likely due to his connections with the game's first director Yasumi Matsuno. The two go way back, all the way to the early 90s with Matsuno's first hit, Ogre Battle: The March of the Black Queen. Together with character artist Akihiko Yoshida and visual designer Hiroshi Minagawa, the four contribute to a consistent style that has appeared in other games like Vagrant Story, Tactics Ogre, and Final Fantasy Tactics. 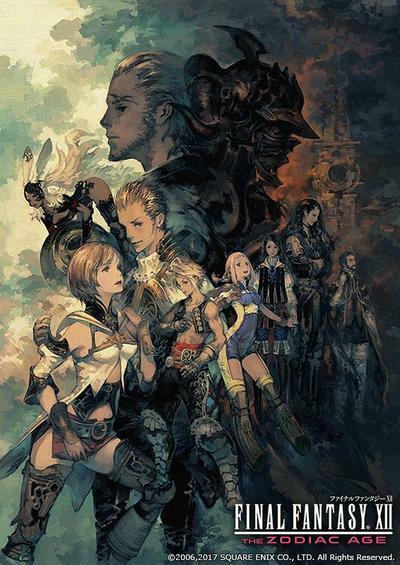 Final Fantasy XII is the only main game from the series in which the four worked together, which is why it feels so unique from the rest of the series. They make up a sort of clique that exists outside of the usual suspects, and this was where they were given their biggest job. Sakimoto's musical style is unmistakable for those who have survived countless encounters in Ogre Battle and Final Fantasy Tactics. I need to revisit Final Fantasy XII once the HD remaster, The Zodiac Age, comes out on July 11 for the PlayStation 4. His music is the best way to get started.